Boy meets girl at the first U.S. high school in Britain. and Ronald ("Dusty") Bowers, both aged 17. Says Ronald: "We've been going steady for a week." signet-rign with H inscription. All are smoking 9d. for 20 cigarettes. boys - checked shirts, zippered jackets. There is no school uniform. Happiest days of your life, 2 ---- hard-at-it close-up in the classroom. scarf with his jacket - no tie - turn-up cotton trousers - and side-whiskers. children. 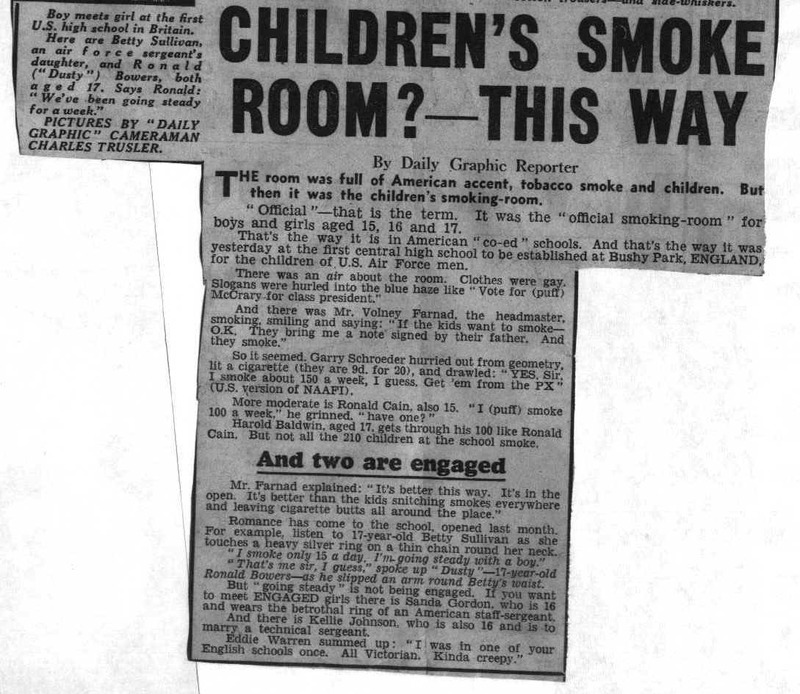 But then it was the children's smoking-room. boys and girls aged 15, 16 and 17.
hurled into the blue haze like "Vote for (puff) McCrary for class president." signed by their father. And they smoke." I guess. Get 'em from the PX" (U. S. version of NAAFI). More moderate is Ronald Cain, also 15. 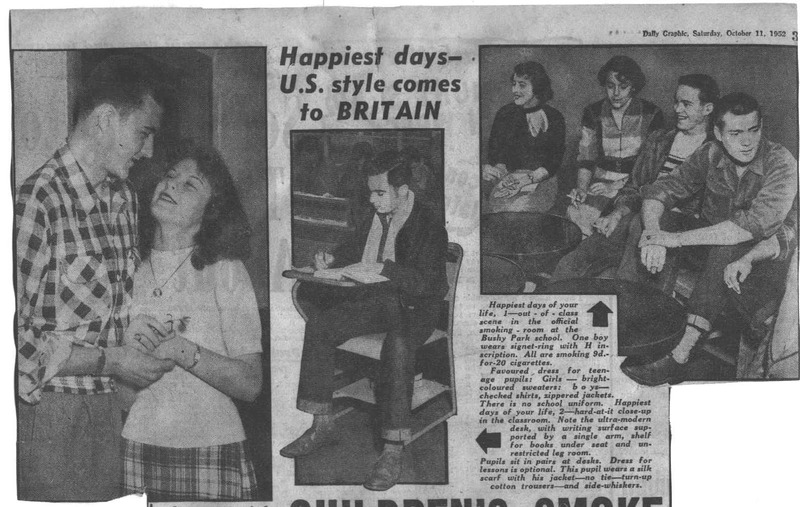 "I (puff) smoke 100 a week,"
Harold Baldwin, aged 17m gets through his 100 like Ronald Cain. But not all the 210 children at the school smoke. cigarette butts all around the place." as he slipped an arm round Betty's waist. But "going steady"
schools once. All Victorian. Kinda creepy".